Red Hat® is the world's leading provider of open source solutions, using a community-powered approach to provide reliable and high-performing cloud, virtualization, storage, Linux®, and middleware technologies. Mazadah is honored to be the First and Only Red Hat Certified Training Partner (RHCTP) in Libya and Qatar, the Only RHCTP in Jordan and the Only Advanced RHCTP in Egypt, Saudi Arabia and UAE. Besides being the first Red Hat Certified Partner in the MENA region that can provide you with ALL Red Hat Linux courses and exams, Mazadah has the biggest and most qualified team of experts in this region, and one of the biggest in the word, consisting of more than 12 Red Hat Certifies Individuals, 7 of which are Red Hat Certified Architects (which is the highest certification of Red Hat). Established in 1981, NIIT Limited, a global leader in Skills and Talent Development, offers multi-disciplinary learning management and training delivery solutions to corporations, institutions, and individuals in over 40 countries. It has become known, in particular, as a corporate training company and Industrial Training Company, with customized programs for both large and small enterprises. Since 2014, Mazadah is proud to partner with NIIT to help delivering high quality training to their Red Hat clients all over the globe. Docker allows you to package an application with all of its dependencies into a standardized unit for software development. Docker containers wrap up a piece of software in a complete filesystem that contains everything it needs to run: code, runtime, system tools, system libraries – anything you can install on a server. Docker containers are based on open standards allowing containers to run on all major Linux distributions and Microsoft operating systems with support for every infrastructure. 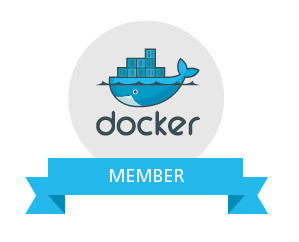 Mazadah is glad to partner with Docker, and support their customers in the region with profound knowledge and expertise. VNC - Virtual Network Consult AG is a leading specialist and Value Added Distributor of Commercial OpenSource and Cloud solutions. They work with a best-practice approach, with any size of business in mind, from small and medium-sized companies to global organizations. Their services range from platform solutions for data centers to complex business applications like ERP, CRM, Collaboration and security solutions - custom-tailored to each client's needs and, if required, useable on any kind of connected device. Mazadah is excited to be the first partner in MENA with VNC, delivering their high quality OpenSource products (with a focus on Zimbra) to the region. With commitment to quality (made in Germany) and data privacy, SEP works on providing unequaled protection of all their customers’ data: By adding advanced backup and disaster recovery functionality, SEP will continue to lead the charge in a “single tool” solution technology, thereby lowering demands on IT staff and corporate training requirements. While adapting new technologies and anticipate trends to provide cutting edge, industry leading backup software. As well as delivering world-class support with the ambition that their partners and customers are successful with their software. Sep fosters very close relationship with customers, resellers and technology partners, and offer the main software components as Open Source for even more quality and reliability, while focusing on their key competency as a premiere backup & recovery software provider. SEP makes 100% of sales through channel partners, which we are proud to be one of them.